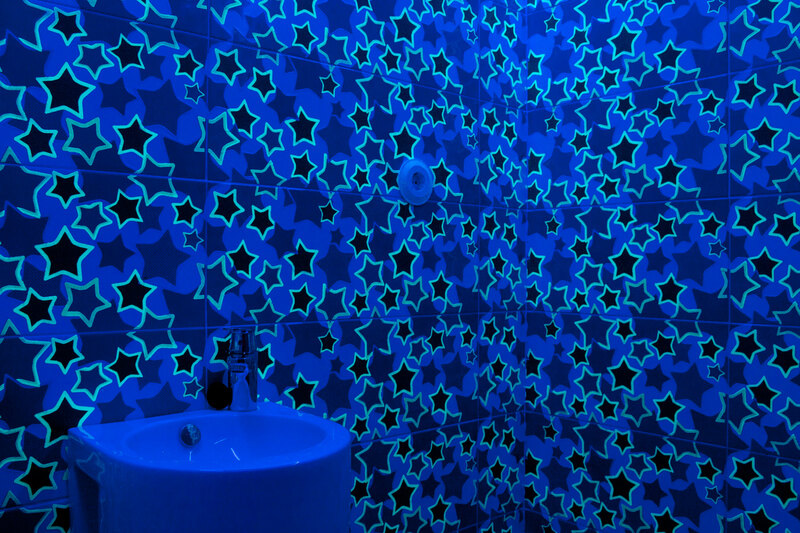 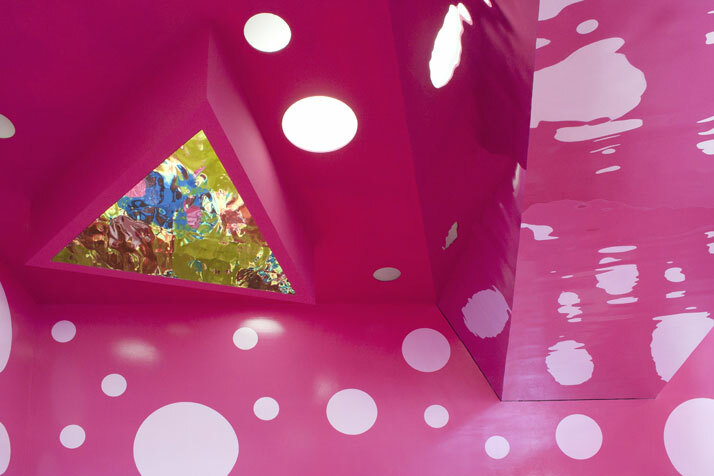 Part optical illusion, part real, architecture studio A2arquitectos has transformed a children's leisure area at Hotel Castell De Hams in Porto Cristo on the island of Mallorca, Spain into a colourful playground inspired by the popular mesmerising toy, the kaleidoscope. 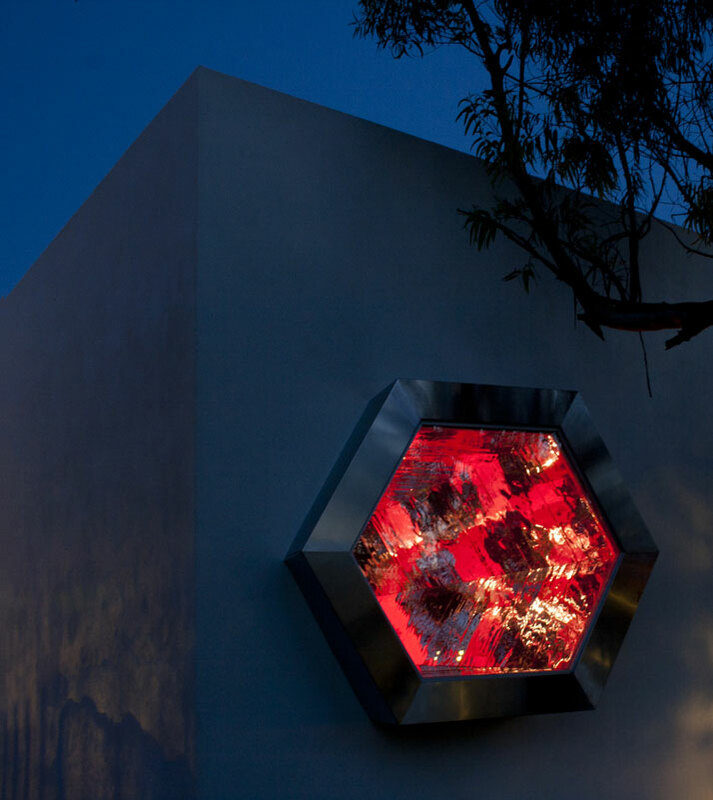 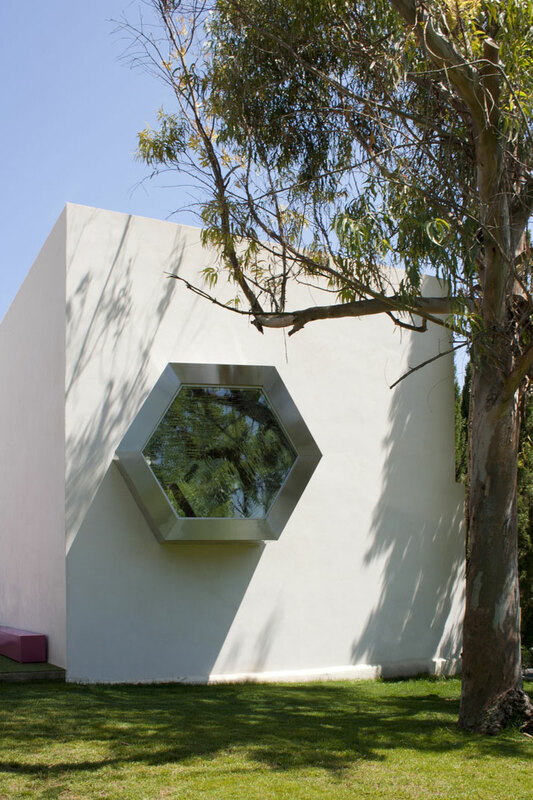 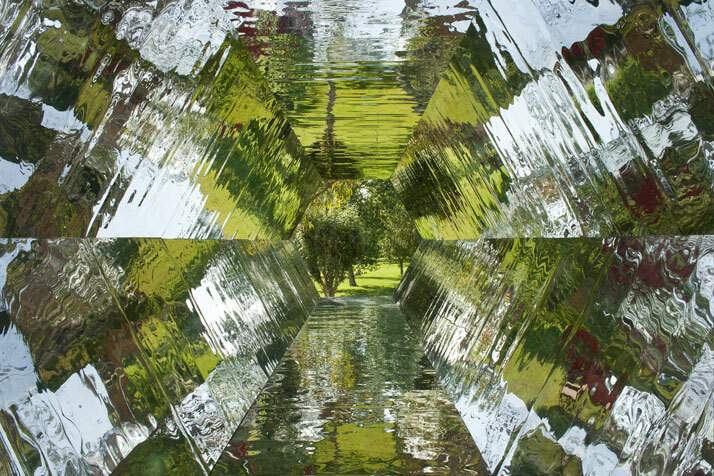 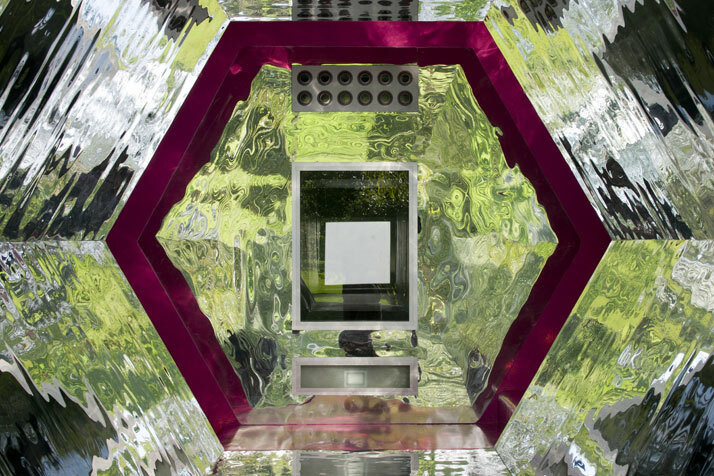 Hexagonal reflective tunnels measuring 9 meters in length and 2 meters in height create the magic here, by reflecting external views, natural light and the children walking inside them, thus creating multiple worlds for visitors to explore. 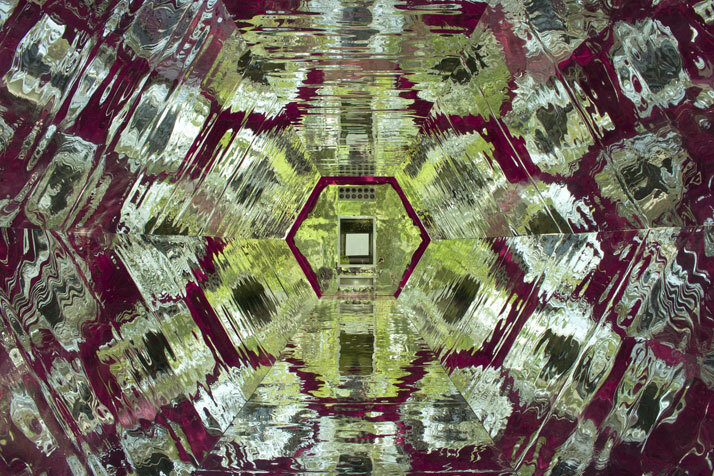 The overall visual result: definitely otherworldly, inevitably bringing to mind certain stills from Stanley Kubric’s ‘2001: A Space Odyssey’ as well as patterns that we would usually only associate with space and light phenomena like Aurora Borealis. 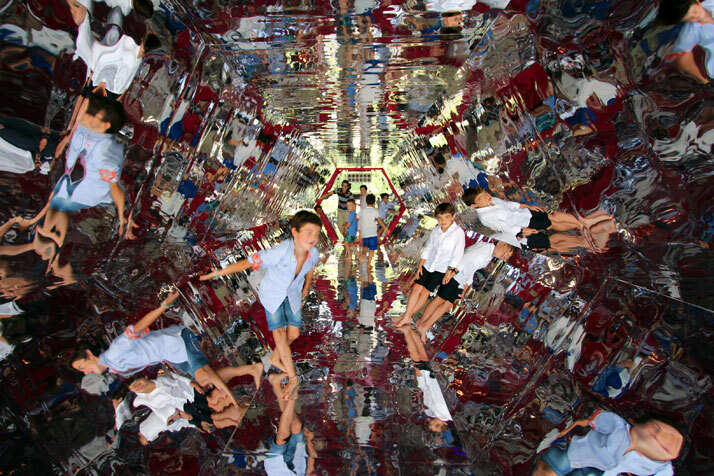 photo © Laura Torres Roa. 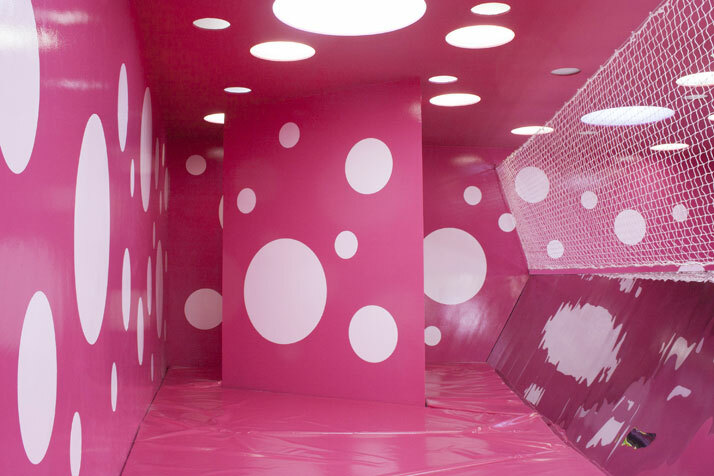 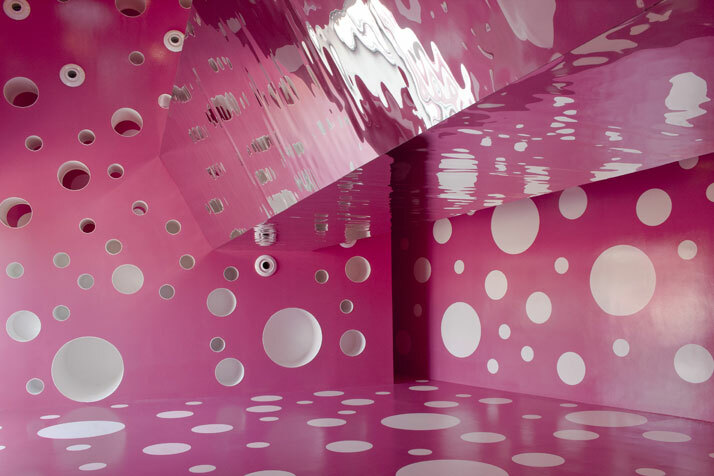 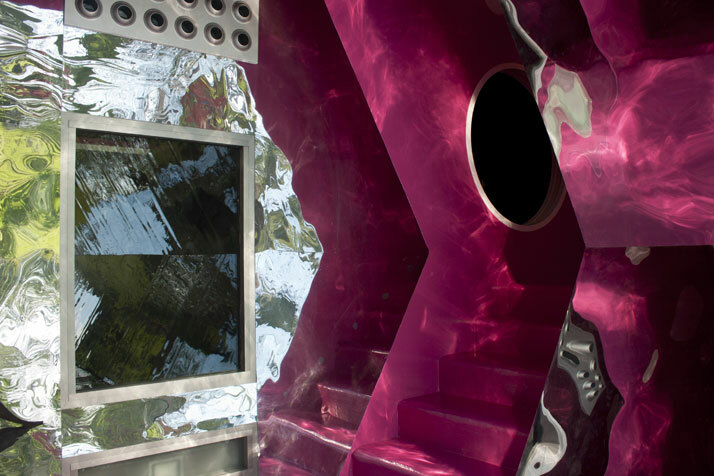 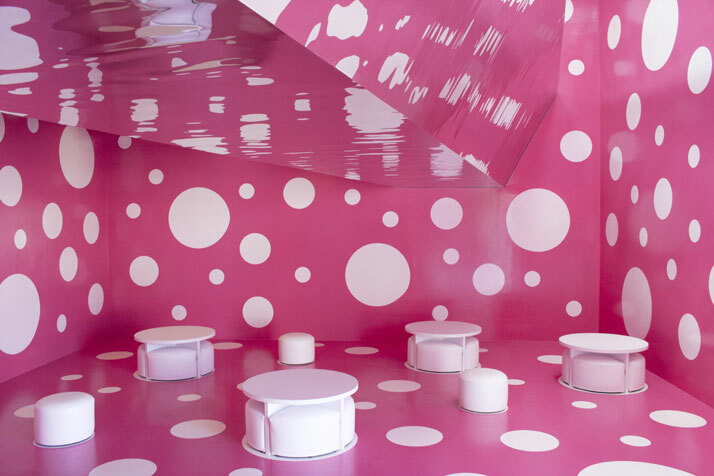 The tunnels are however only a small part of the playground: other areas are painted in a bold pink that gives a sense of surprise and fun, dotted with many polka dot-like white circles that function as light openings, storage, slates, caches and openings to other spaces. 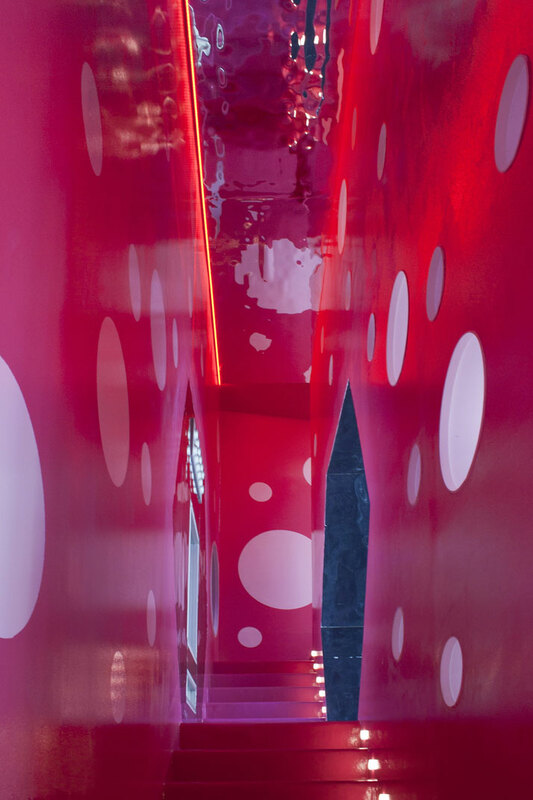 Traversing this colourful maze is like exploring a different dimension where you are constantly wondering whether your eyes are playing tricks on you; through this unconventional use of proportions, materials, colour and light, the team of A2arquitectos’ project stimulates the eye, the mind and the imagination, while also creating strong emotions such as surprise, curiosity and disbelief. 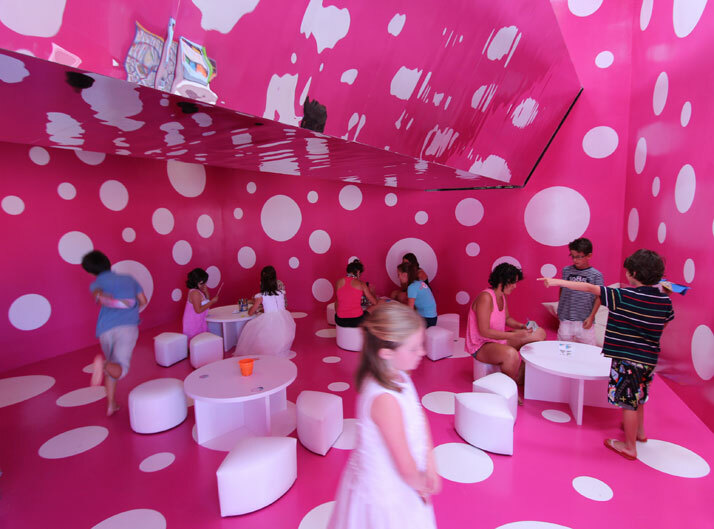 We’re sure that children of all ages will love this place!